Deep down, we all sense that finding meaning and fulfillment depends on finding ourselves. But how can we do this? 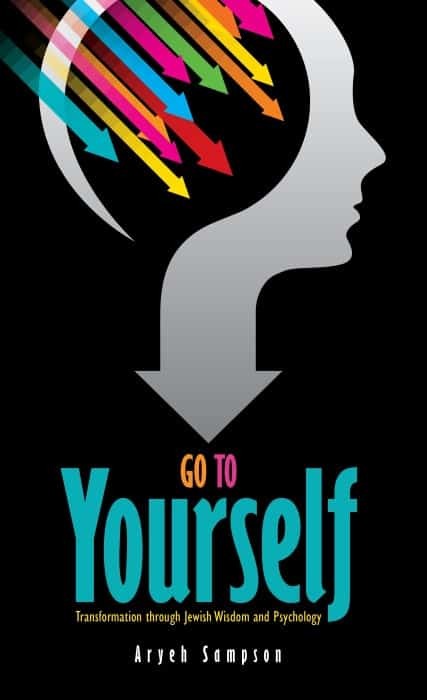 Go to Yourself is based on Rabbi Israel Salanter’s unique approach to creating personal transformation, which includes three concepts: Awareness, Control and Transformation. • Awareness (hergesh) means to gain self-knowledge and insight into oneself. • Control (kevishah) comes next. It refers to taking conscious control over our inner negative influences. • Transformation (tikkun) occurs when the ‘deceptive self’ (yetzer hara) is transformed to follow the wishes of the true, good, inner self - in beautiful harmony. Finally, Rav Israel’s transformative teachings are available to the English-speaking public. Go to Yourself enables each of us to find ourselves - and find happiness.